I'm 32, I have a great daily beauty regimen, use some of the best products on the market and hardly need to worry about Age Management Skin Care....Not!!! If your thinking like me or many other fashionistas in their early thirties there's no better time than now to get serious about your skin. Beauty products have taken a huge step beyond the pretty packaging and snazzy advertisements. Beauty industry leaders have taken a medical approach by utilizing research, and by formulating customized skincare for optimal results. Heard the buzz about Caviar being Angelina Jolie's secret to flawless skin? Want optimal results in the comfort of your home minus the surgery? This summer indulge your best asset with a few clinically proven essentials from RSF Pharmaceuticals. 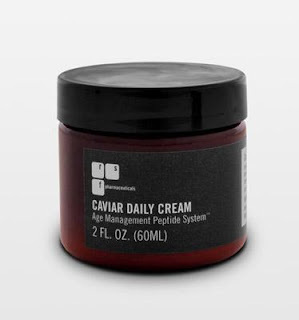 Caviar is an exclusive cosmetic ingredient that contains rich essential amino acids, peptides, proteins and essential fatty acids that provide the ultimate damage repair for your skin. 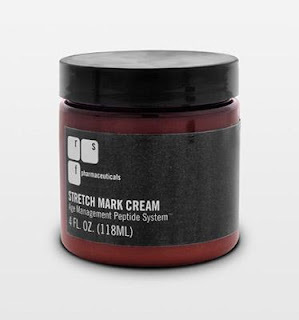 RSF Stretch Mark Cream invigorates the cell regeneration process while diminishing the appearance of stretch marks. infused with a special vitamin and organic extract to moisturize and smooth the skin.